Day two of the Keefer Inc./Pulp MX 2019 450 Shootouts came and went, but we had a few shake ups in the standings compared to day one. Sunrise MX Park is a tighter, jumpier, more loamy type of track than Competitive Edge MX Park, which gave us different test results. The different track conditions proved to bring out some strengths and weaknesses in some bikes that day one couldn’t provide. The reason why I picked these two tracks for this year’s shootout is because they are in most of the manufacturers production testing rotation. What better way to test a motorcycle than go to the tracks that the manufacturers actually test at. We had eight test riders on this day and even a couple heavier guys to get a wider (pun intended) perspective on each machine. Below is brief synopsis of how each bike performed and what each machine ranked on this day. 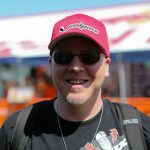 If you want to get a more in depth look at each bike from each tester, click on the “Keefer Tested” link right here on pulpmx.com. Stay tuned to the Pulp MX Show Monday night for even more highlights of each machine and the overall results. Day Two Riders: Chris Johnson, Dominic Cimino, Lane Shaw, Chris Riesenberg, Kelly Gelhaus, Tyler Enticknap, Colton Aeck, and Tod Sciacqua. 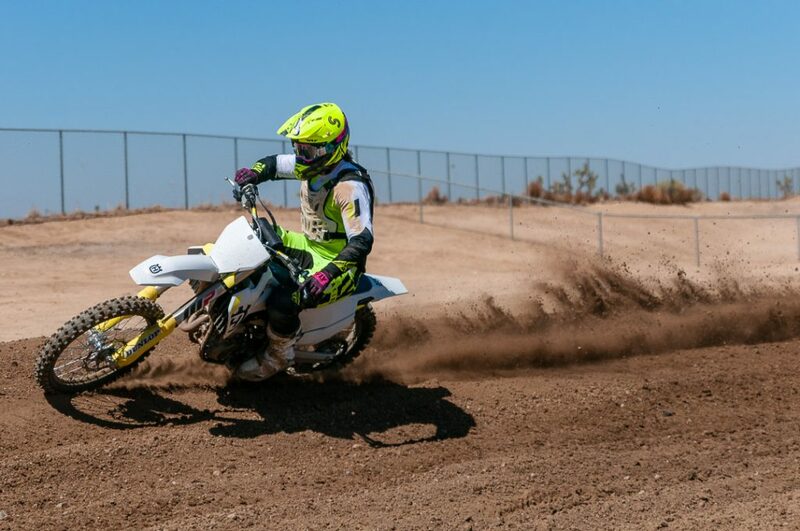 The Suzuki was better at Sunrise MX Park because a couple riders thought the RM-Z450 had improved cornering for them and could be leaned over better in deep ruts than another certain machine. The lack of sheer excitement makes the Suzuki a low pick for faster riders, but a couple heavier testers really liked the easy to control power delivery. Most every rider thought the suspension was awkward as the shock felt disconnected from the front end of Suzuki. Both ends don’t work together on de-cel and it’s not uncommon for the rear of the bike to kick and unload when the rider least expects it. Ergonomically the Suzuki fits a wide range of riders, but in the end, the lack of electric start and suspension woes hold it back on the scoresheets. We will dive deeper into the Suzuki’s track character next week on a special “Keefer Tested Shootout Wrap Up Podcast”. The Husqvarna FC450 was praised for having a more compliant chassis than that of the KTM 450SX-F at Sunrise once again. Sunrise formed larger/softer braking bumps than Comp Edge and the Husqvarna’s comfort was a notch above the KTM. Testers loved the way the Husqvarna was planted to the ground, which gave them more confidence twisting the throttle harder. The Husqvarna’s engine delivers its power similar to the KTM 450SX-F, but a little more calculated down low. The engine delivery of the FC450 got lower marks at Sunrise MX due to the deeper/tighter soil/track it provided. The Pro Taper handlebar is much better than the Neken that is on the KTM and provided less harshness/vibration to the front end. Riders also loved the ergonomics of the Husqvarna as it pleased taller and shorter rider alike. The shroud area on the Husqvarna FC450 was also praised with test riders as it didn’t feel as wide as the KTM through corners, however the KTM seemed to get the nod for easier cornering (possibly because of a snappier throttle response). The WP front fork is still a step behind in comfort compared to the KYB/Showa versions of the YZ and KX. The Honda went up a position on day two and that is mostly due to the because exciting power delivery and cornering ability through deep ruts. The Honda CRF450R still has a slight twitchy feeling in the front end on high speed sections, but most testers easily thought this was the fastest engine in the shootout. The engine character is free feeling and pulls strong all the way through each gear. Each handlebar mounted engine map on the Honda is actually quite different in nature (on the track) and pleased a wide range of riders. 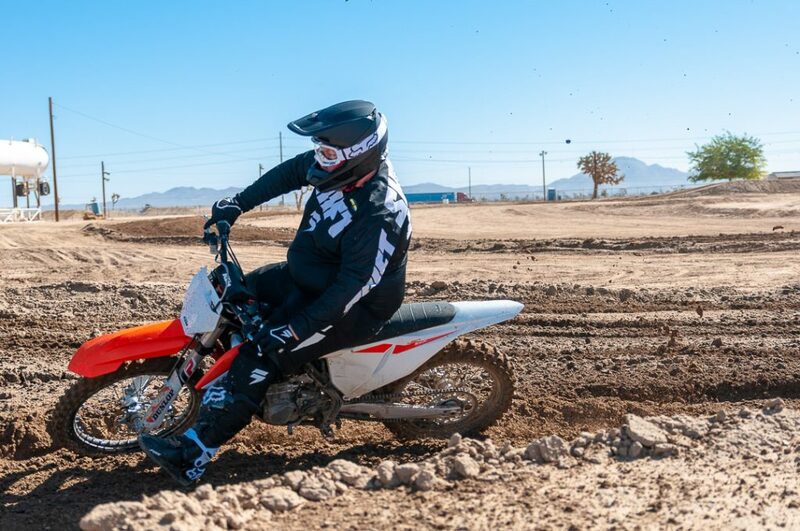 The updated chassis really helped the rigid feel of the Honda on the soft Sunrise MX soil, but in comparison to the other machines it is still has a slightly stiffer feeling. The suspension has a good amount of comfort/performance, but the stiffness near the head tube of the Honda masks the suspension’s comfort. 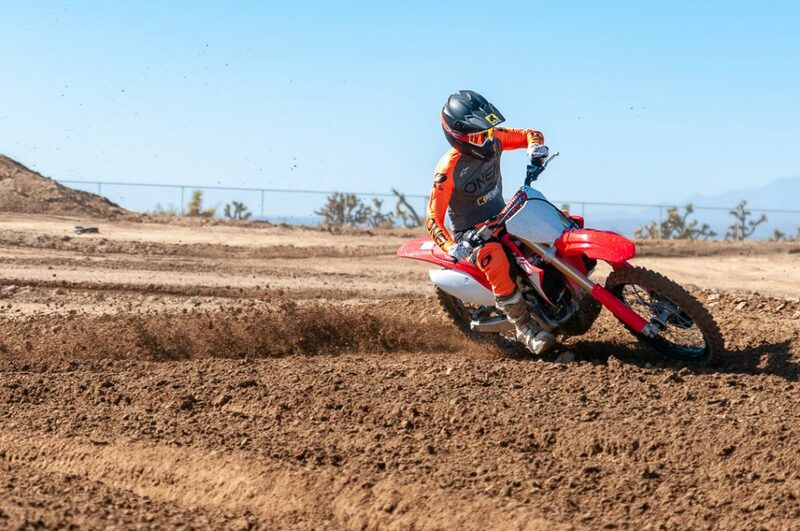 When laid over into a rut the Honda feels light, tracks great and flicking it around in the air is another positive feeling that the CRF450R gives riders. Once Honda figures out a more compliant chassis, other manufacturers better watch out. The Kawasaki KX450 was the only machine to give the Yamaha a challenge on day two. 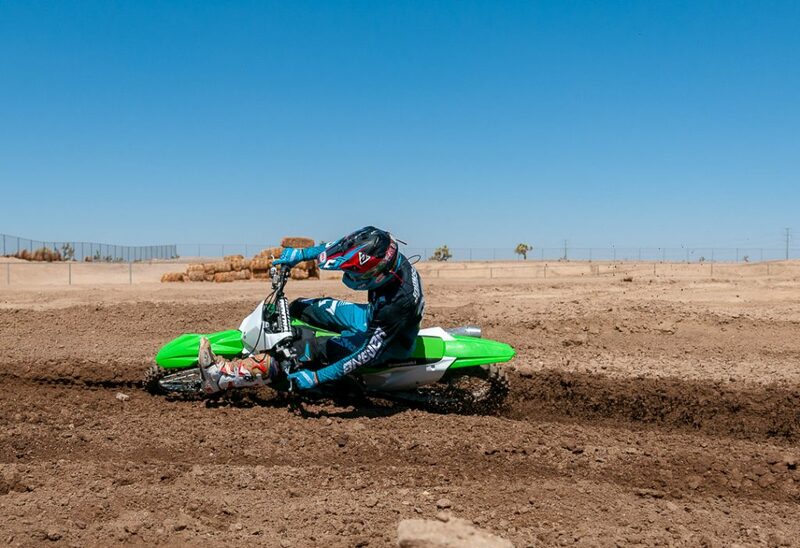 The KX450’s engine rewards riders that ride aggressively and can pull slightly longer on top than the YZ450 when mapped with the black coupler/updated “Keefer” ECU setting. The engine has a silky smooth delivery with excitement mixed into it. It’s snappy enough to feel light around the track and to some riders it does feel the lightest around the track, compared to all other machines. The Showa front fork’s action is smoother than the Honda, but doesn’t quite have the comfort of the KYB/Yamaha fork. The shock rivals the KYB/Yamaha rear end and at speed is actually more compliant than the blue machine. Where the Kawasaki lacked on day two was cornering. Most rides felt the Yamaha had more cornering stability than the Kawasaki. However, these two bikes were so close that it was tough for testers to pick between the two for the win. It was literally splitting hairs. Hence why both of these machines split wins on different days. The Yamaha almost won every rider’s vote on the second day for the sheer easy to hop on and ride fast nature. Every rider that I interviewed mentioned how great the engine was and how it was the easiest to ride in third gear around the track. The Yamaha has a tractor like engine that is so useable everywhere around the track. 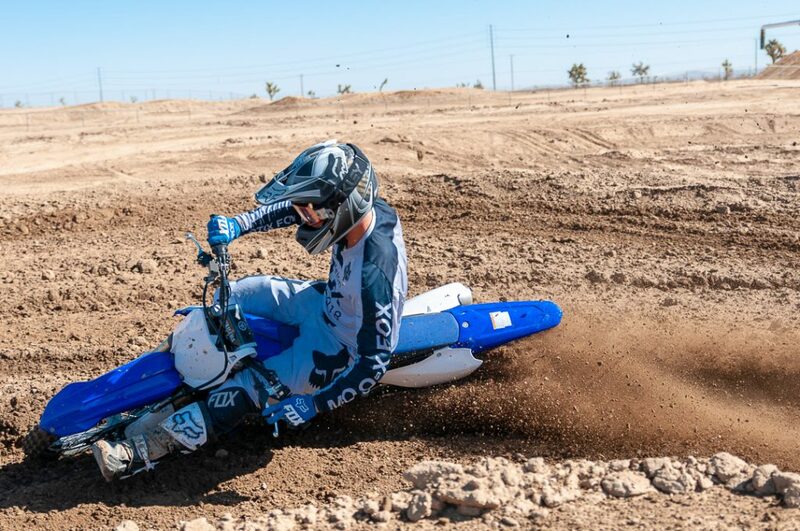 Once again the YZ450F’s “recovery time” was immediate when riders made a mistake and rewarded the rider with options, which let them ride the Yamaha aggressively and/or smoothly. The KYB suspension is best in class with comfort and performance and also accepts riders of vastly different sizes/weights. Our heavier test riders, even though felt it was soft, thought it had the most forgiving feel around the track. When the track got rougher, the Yamaha got better and easier to ride where some other bikes in the shootout went backwards. The Yamaha still received some complaints of a heavy feel through the tighter Sunrise MX corners, but it wasn’t enough to make it fall back to second.